We round up the best places to escape to for the whole family this Easter. It’s the long weekend! Escape to one of these kid-friendly destinations for a relaxing break. 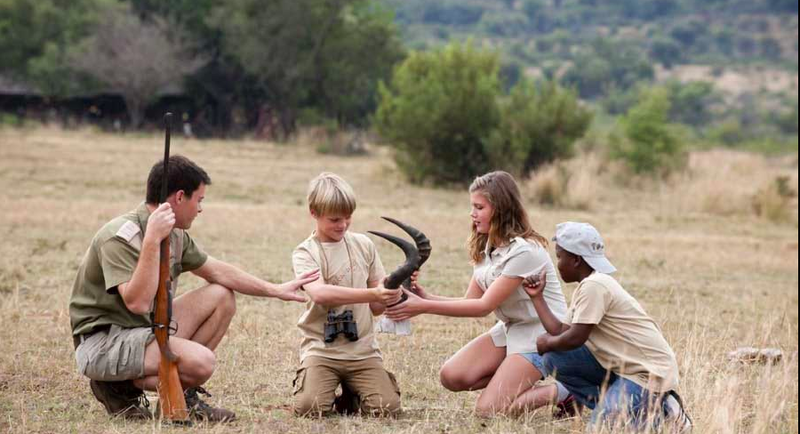 Children aged six to 12 can take part in Bakubung Bush Lodge's Junior Rangers programme, where they'll learn more about the landscape, its inhabitants, and why we need to protect our natural heritage. Traditional safari escapes can sometimes be a little stuffy and dull for kids when you’re not out spotting game. Bakubung in the extensive Pilanesberg National Park solves this problem by being part bush lodge, part family resort. Thatched-roof chalets curve around a central swimming pool and cocktail bar, so parents can enjoy a G&T while the little ones exhaust their energy in the pool. There are also floodlit tennis courts, a volleyball net, action cricket and a kiddies’ playground. Have a budding game ranger on your hands? The Junior Rangers Programme is a hands-on environmental education experience offered at no extra cost for children aged six to 12. The family-friendly ethos extends to the lodge’s rates, too. Children 12 and under stay free – including accommodation, all meals and two game drives per day – when sharing a room with an adult paying a full-board rate. And speaking of game drives… The Pilanesberg National Park is one of the most popular in South Africa thanks to its unique landscape. It lies in the transition zone between the semi-arid Kalahari and the Lowveld, which means it’s home to a diverse variety of wildlife. You could spot the big five, prolific herds of antelope, giraffes, cheetahs and – get those binoculars out, twitchers – more than 360 species of birdlife. 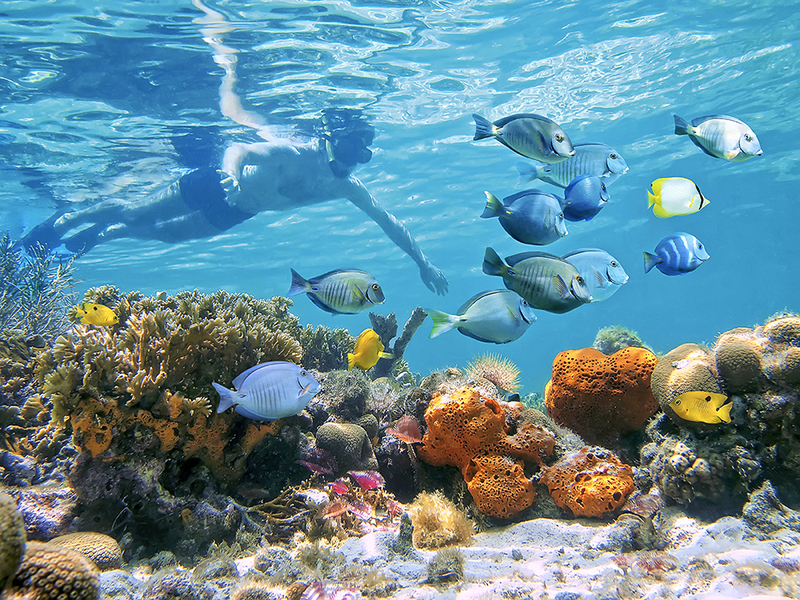 Snorkelling the beautiful Inhaca Island reef is just one of the many fun-filled family activities waiting for you when you board the MSC Musica four-night cruise to Mozambique. Fancy really getting away from it all? Then leave all your troubles ashore and hop aboard the MSC Musica. This five-day, four-night cruise departs from Durban on Friday 19 April, setting sail for Mozambique. You’ll spend a day on the pristine, marine-protected Portuguese Island, then visit the wild beauty of the coastal Pomene region. The best part? 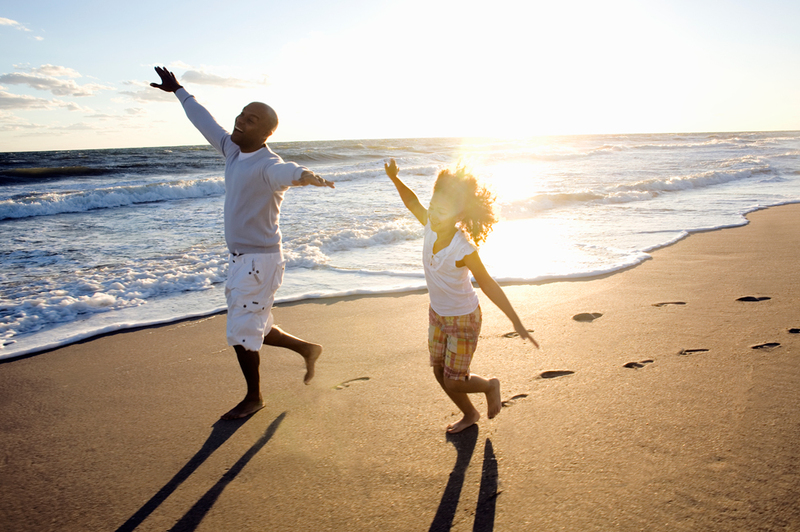 Children under 18 sharing a cabin with their parents travel absolutely free. They’ll still enjoy full access to all the onboard water parks, swimming pools, dining options and family-friendly entertainment, plus they have their own fully supervised clubs (these are divided by age group, so your 16-year-old won’t have to roll her eyes about being lumped with the 13-year-olds). Onboard activities include everything from games consoles to cooking classes, talent shows, sports tournaments and even a formal prom night for teens. When you arrive in Mozambique, it gets even better. While at Portuguese Island, families can choose between water sports including sea kayaking, wake-boarding, banana-boat rides, stand-up paddle boarding and snorkelling. There are also transfers to historical Inhaca Island where you can take a scenic tour, shop for souvenirs or grab a snorkel and explore the beautiful reef. Water sports also feature heavily at Pomene, but the real allure of this area lies in a mangrove tour through the nature reserve, and a visit to the eerie ruins of the once-famous Pomene Hotel. When you're not enjoying thrills, spills and extreme sports along the Garden Route, take it easy in the tranquil garden at The Village Lodge. Most towns on the Garden Route offer a sleepy, slow-paced charm – but not Storms River. Known for its adrenalin-inducing array of extreme sports and adventure tourism, it’s the perfect getaway for the family looking for a little excitement. The best way to take advantage of all that this town has to offer is to find relaxed, family-friendly accommodation within easy distance of the main attractions. Cue The Village Lodge, which offers 10 en-suite rooms on a B&B or self-catering basis. There’s also a communal braai lapa, lounge area, games room (with an original Pac-Man arcade) and a large garden complete with hammocks and giant chess. So, what’s on the agenda first? A guided Segway tour is a sedate yet fun way to explore the indigenous Tsitsikamma forest. Or – if heights are your thing – you can try abseiling, ziplining, a treetop canopy tour or even scream your lungs out on the world’s highest bridge bungee-jump at Bloukrans. Water babies are well catered for too, with blackwater tubing adventures, kayaking and even scuba excursions from the Storms River Mouth. And, of course, there are plenty of hiking and mountain-biking trails, including public access to the first 6km of the famous Otter Trail. 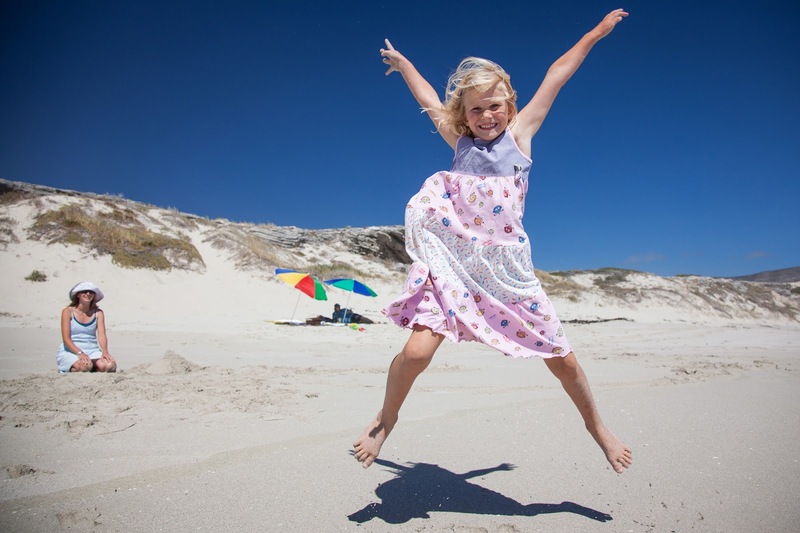 The five-star Grootbos Private Nature Reserve is like a luxury playground for adults and children alike. Your little ones will get closer to nature, learn about the fascinating history of the area and have plenty of fun – all while you enjoy being pampered from sun-up till turn-down. This five-star eco-friendly getaway may be in a slightly higher price range than the other options on this list, but when you see the breathtaking location, gorgeous accommodation and list of included activities, you’ll want to go ahead and treat yourselves. Covering some 2500ha of pristine Cape floral kingdom, Grootbos not only preserves the natural beauty of this area, but pioneers progressive luxury tourism that uplifts nearby communities. Because of this, all the activities offered are conservation- and community-themed. 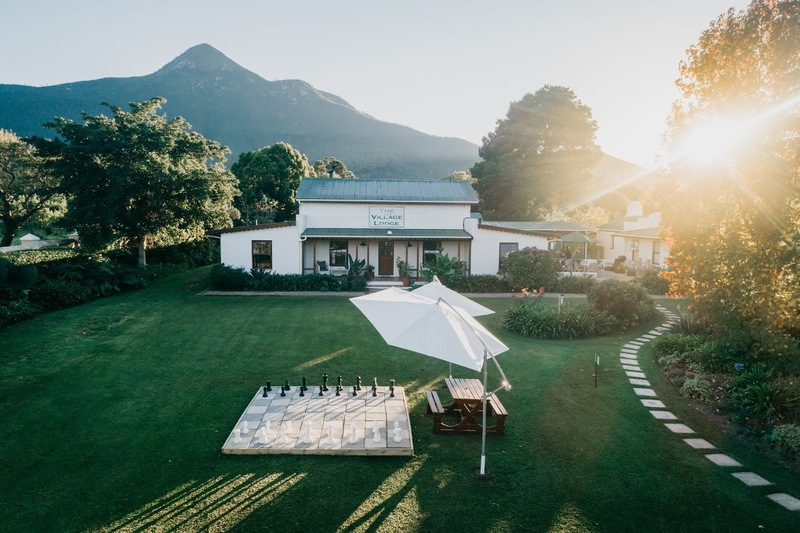 The three-night family package includes a three-course lunch on arrival, an exciting treasure hunt through the fynbos, then an early supper and babysitter for the kids while you linger over a six-course dinner. Your kids will love collecting their eggs straight from the farm for breakfast the next day, followed by an educational morning learning about rock pools and the ancient caves at the beach (with a gourmet picnic lunch). Pony rides, night walks, interactive coastal tours, a marine safari and a farewell dinner under the stars are just a few more of the delights families can look forward to. Fancy building your own itinerary? Other options include botanical 4x4 tours, shark-cage diving, scenic flights, boat-based whale watching, a progressive tourism excursion and a ‘hive to home’ beekeeping experience, among others. Edgars Club members can go further for less with exclusive savings on everything from flights to car hire and all-inclusive packages. Whether it’s a local bush break or a relaxing beach holiday you’re after, we’ve got it all, just for you. Read more about our travel savings here.